We’re going to continue our series on investment banking resume templates and go through how you should write about investment banking experience in this article. You can actually use a similar template for anything in finance, whether you worked on the sell-side or buy-side. But you can’t use it for everything. Students who have had banking / finance internships (you will need to make some modifications, e.g. put Education at the top instead). Anyone in other front-office finance roles who is now looking for something else within finance. Anyone applying to business school – for that you want to present a more “balanced” picture of what you’ve done. Older, more experienced people – if you have worked on 20+ deals you will need a separate page for listing everything. This usually only happens at the VP-level and above. Anyone working outside finance or anyone interested in moving to something outside finance – the Peace Corps doesn’t care if you know what EBITDA means. Actually, a lot of this is the same as in our university student template: the area at the top with your name and contact information, the overall format of the resume, and format of each work experience entry (name and position left-aligned, location and dates right-aligned, summary sentence, etc.). The Order – Work Experience on top, Education below that and Skills/Activities/Interests below that. Note: If you were an intern and are still in school you should keep Education on top. 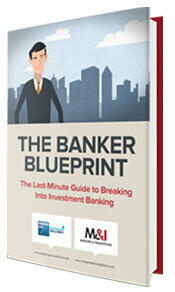 The Focus – We are focusing much more heavily on your investment banking experience and have cut back on the rest. For buy-side recruiting, or even moving to another bank, this is all they care about 90% of the time. If you’ve had a banking internship, your full-time interview questions will be either technical or focused on your internship – or both. Yes, you can include previous internships and jobs as well but you should make your banking experience take up most of your resume. If you’re an intern returning to school, it’s fine to leave in previous internships but I would not devote as much space to them. You should give 1 or 2 summary sentences, and then go straight into your deal experience (or if you worked on the buy-side, “Investment Experience”). Give the number and types of deals you’ve worked on. Research and qualitative items are OK to include but try to focus on clients / deals / technical work because those are what interviewers care about. If you didn’t work on deals (if you were an intern) or didn’t do much substantial work, there are ways around it – which we’ll get into below. Once you have your summary sentence, you need to decide WHICH deals / clients / investments to write about. If you were an intern, this is easy: take what you can get. Unless you were a miracle summer analyst and somehow worked on 10 transactions, you can usually point to a few major projects. For those working in banking full-time, it’s more difficult to decide what to write about. Aim for between 2 and 4 deals total – just 1 looks strange, and more than 4 is excessive to get your points across. In THIS template there are more than 4 deals, but that’s because I wanted to give you examples of how to write about different deal types. Try to have a mix of “high-profile” or larger deals that catch recruiters’ attention (e.g. Microsoft / Yahoo) and deals where you contributed something more substantial (this one is more relevant for full-time bankers). M&A / Restructuring deals are better to write about than IPOs or other Equity-related deals. Debt Financings can be ok depending on what you did. Anything “unusual” like divestitures, distressed sales, etc. is also good to write about and talk about in interviews. See Also: Private Equity Resumes for more on this topic. It’s not the end of the world if you’ve mostly worked on IPOs. Despite rumors to the contrary, you can get into PE without having M&A or Leveraged Finance experience. Whether or not a deal was officially announced doesn’t matter: just replace company names with industry descriptions (“Biopharmaceutical Company”) for unannounced transactions. If you don’t have many “official” deals, you should turn whatever you did during the summer into “pending” or “potential” deals. The more that happened, the better, but as long as you did something you can write about it as if it were a potential transaction. Were you doing research on companies for a client or prospective client? Sounds like a “Potential” Buy-Side M&A deal to me. Did the CEO approach you and ask your team to pitch for the business? Did you do a valuation and research potential buyers? That’s a “Potential” Sell-Side M&A deal, even if you didn’t do much more than the pitch book (if you’re paranoid, you can label this type of experience a “Pitch” instead). You don’t need to list “deals” if it’s too much of a stretch – in that case, just go with a summary sentence and a few more descriptive bullets on what you did. Within each entry, list the dollar/Euro/other currency amount – estimating if you don’t know for sure – and list the company that you were representing first. “Media Company’s Acquisition of Software Company” would imply that you represented the Media Company on the buy-side. Use “Potential” or “Pending” for deals that haven’t been announced or closed yet, and only give the names if it’s publicly known. IMPORTANT NOTE: This advice assumes that you actually have some closed deals. If you have worked on several deals but nothing has closed yet, it’s best not to draw attention to that fact – so you should leave out this “Pending” or “Potential” language and act as if everything is “ongoing” (and be ready to outline the next steps in the process). Aim for 1-2 bullets for each deal – if you can summarize it with 1 bullet, do that, but if you need more than that you could split up what you did into “qualitative” and “quantitative” parts and use a 2-bullet structure. Focus on modeling or valuation work if possible in your “specifics” segment – due diligence or other qualitative work may be ok as long as you can make it sound good in an interview. Try to link anything qualitative to how it was used in the transaction. In the template here, the banker is using the buyer list he created for the Restructuring deal as the “specifics” and then giving the “results” by writing that it was used in Chapter 11 proceedings to show that the price was fair. The level of detail for each deal depends on how much space you have and the rest of your resume. If this is your first and only full-time work experience, be as detailed as you can, but if you have lots of other solid entries then you don’t need to write a Wikipedia page about each entry. In this template, the banker has gone into detail on some deals and hasn’t written much about others – which is fine. Be very careful about your “results” for each deal. If you write something like, “Negotiated 10% lower purchase price,” you’re going to get called on it in interviews because Analysts and Associate don’t “negotiate” anything (except for food prices at closing dinners, maybe…). If your work impacted the deal, that’s fine – but be careful with your wording and make sure that you frame the results as you having “supported” the senior bankers. Also, don’t feel pressured to include false “results” – if all you did was create a presentation, just write that rather than pretending you made $10 million for your firm. You can still include the other internships, but cut back on how much you include, and keep the focus on your current or most recent one. Still include a summary sentence but write about “Selected Investment Experience” instead and list the investments / potential investments you worked on. Focus on modeling, due diligence, and how your work impacted the deal process (if that’s what happened). See the video for more detail and an example of how to do this. Decrease the font size, cut out experience, or do whatever it takes to get it on 1 page. 2 pages is still not appropriate in most regions, unless you have dozens of deals and need separate page(s) for them. Again, it’s fine to leave in other Work Experience but you shouldn’t focus on it quite as much – which is why this section has been reduced here. Education should be shorter if you’re working full-time – no one cares that you were on the Dean’s List. GPA and standardized test scores are fine to keep in. If you’re still a student, you can keep this section more detailed. Skills, Activities & Interests should also be shorter (it’s named differently here as well) because people care even less what activities you were in once you’ve been working for awhile. Again, students can keep this section more detailed but don’t go overboard. So that’s a quick overview of what’s in this template and how to use it – please do not just copy this blindly unless you want to get a lot of questions you can’t answer in interviews. Use the basic format and style and adapt it to what you actually did. Note: Also, I assume no liability in case this template does not, in fact, get you into KKR. We will take your existing resume and transform it into a resume that grabs the attention of finance industry professionals and presents you and your experience in the best possible light. When we’re done, your resume will grab bankers by the lapels and not let them go until they’ve given you an interview. Detailed, line-by-line editing of your resume/CV – Everything that needs to be changed will be changed. No detail is ignored. Your experience will be “bankified” regardless of whether you’ve been a student, a researcher, a marketer, a financier, a lawyer, an accountant, or anything else. Optimal structuring – You’ll learn where everything from Education to Work Experience to Activities should go. Regional badminton champion? Stamp collector? You’ll find out where those should go, too. The 3-point structure to use for all your “Work Experience” entries: simple, but highly effective at getting the attention of bankers. How to spin non-finance experience into sounding like you’ve been investing your own portfolio since age 12. How to avoid the fatal resume mistake that gets you automatically rejected. Nothing hurts more than making a simple oversight that gets you an immediate “ding”. We only work with a limited number of clients each month. In fact, we purposely turn down potential clients in cases where we cannot add much value. We prefer quality over quantity, and we always want to ensure that we can work well together first. If you transferred to another university after freshmen year, do you need to list it on the resume or just simply list the university you graduated from? Also, can you just list GPA for the university you graduated from? (It was 4.0 from prev college and new college is still >3.9). Yes, you have to list universities that you transferred from. But you can probably get away with just listing your GPA at your current university. Of course, if you have a 3.9 and 4.0, you could easily list both, as it would only help your case. I have a question about tailoring my resume for post-graduation HF/buy-side roles with somewhat unconventional internship experience. I’m a rising senior who’s interning at a major AM firm (top 10 in AUM globally). My internship consists of one summer-long project where I’m essentially researching and pitching 2-3 stocks in a given sector. Any advice on how to best present the modeling and research experience that I’ve gained over the course of completing this project, especially given that it’s only one “project” as opposed to multiple IB-style “deals,” and given that I may not know whether the firm acts on or does not act on my recommendations by the time I apply for FT positions? Just present each of the 2-3 stocks as a separate deal or project and leave it at that. You don’t need to know if the firm takes action, just look up how the stocks performed since your recommendations and write down positive performances. For BB banks in London should a photo be included in the CV? I just joined a European BB investment bank as a first year M&A analyst in September. I so far have no live deal experience but have worked on buy-side pitches for clients (strategic and top PE shops) looking to make the decision to acquire other companies. I know its early, but PE recruiting starts soon, and I would like to be able to make the best impression on headhunters and interviewers. Any advice on how I should proceed? Should I wait until next year? I wouldn’t wait, especially if you have prior IB internships or other finance internships you can point to. You’re at a disadvantage without real deal experience, but there’s no harm in recruiting now and then trying again next year if you don’t do well because of this lack of deal experience. I’m wondering if you would recommend putting your BIWS certifications on one’s resume. If so, is there a certain template or line you’d recommend on how to put it on the resume? Thanks for the great content as always. I have had what I believe to be an abnormal experience as an analyst and have closed over ten deals (mostly financings) in my first year, including multiple with a deal team of just me, another analyst, and an MD. Do you have any thoughts as to how I can leverage these experiences to my advantage when building my resume? Congratulations! Yes, I’d probably include a one-page transaction summary, and make sure you show recruiters that one-pager. I’d highlight the top 3 deals you’re most comfortable talking about. Thank you Nicole! In terms of the experience with just me, another analyst, and the MD, do you think it is best to mention that directly, to be less overt, or to just not mention it at all? I’m currently updating my resume and trying to determine the best way to frame my transaction experience. 1. *Advised client on ~30m sale to strategic buyer* – A lot of deal execution work such as fielding information requests, managing data room, etc. Surprisingly little modeling work on this one – most of my financial analysis consisted of summarizing and interpreting information. Our client knew what value he wanted to get for the company and the buyer seemed willing to pay it; therefore, no formal valuation was built. 2. *Advisor to PE Firm on acquisition of Seller* – Our firm acted primarily as a finder on two deals. Typically, I would research and find the company and a Director/MD would contact the owner/exec. After that, the PE firm did most of the work and called on us rarely; however, one deal was unique in that it was a corporate divestiture – seller was a division of a billion dollar corporation. The D/MD maintained relationship w/ the division president and we brought our PE client to the table. There were three other potential deals worth roughly $70M in EV, but they fell through. I have a lot more to talk about when discussing these deals (i.e. writing CIM, financial modeling, and various execution activities). I think you might be over-thinking this – list the deals where you have the best experience. If you want to list at least one closed deal, go with #2 there because a divestiture is more different than standard M&A deals, and then list 2 of the deals that fell through and write about the analysis involved in them. I am currently a first year analyst in the Lev Fin group of a BB. We don’t really do much modeling, most of it is handled by coverage. The majority of the work is originating, structuring, and syndicating the debt. I have built an operating model with a debt schedule and was wondering, what kind of questions should I expect to get asked about this if I list it on my resume? They’ll probably ask you to walk through the key assumptions, how debt is paid off over time, how the debt payoff changes under different scenarios, and how the model impacted the deal terms. I am on several deals (2 sell sides, 1 buy side, 1 IPO and 1 debt financing). However, none of them have closed and I have only really been doing extensive work for 1 sell side and the IPO. The other deals either have died or have not even started yet. Even for the two deals that I am actively working on, I haven’t done anything much for them both and do not know how to spin them effectively on the resume and also talked about them later in interviews. Should I include an acquisition financing that we did extensive work on that got approved by committee but the client decided to go with another bank and put Ongoing/Potential on the resume? Yes, you can include this acquisition financing deal on your resume and put ongoing/potential on your document. This template is very helpful but all of your “selected transaction” examples deal with equity related deals (with the exception of the one involving an LBO). Do you know where I could find examples of debt transactions on resumes (acquisition financing, high yield note issuances, institutional term loans, etc-essentially the vast majority of experience in leveraged finance)? Not 100% sure but readers may be able to give you better suggestions. Does the above article suggest that you put experience before education even as a post-summer analyst applying for full time positions? If you’re a student, I’d list education first. Otherwise, I’d list experience, whether you’re a post-summer analyst or not. I am currently working in valuation (for financial and tax reporting), and was wondering your opinion on if I should convert my resume to the deal template? The reason I ask is because my work begins after the deal is closed, so I’m not exposed to any of the market materials that IB analysts are exposed to. However, I do perform purchase price allocation modeling for the transactions and prepare the valuation reports. Is that enough to consider it “deal experience”, or will people think I’m over-embellishing? I am not 100% sure if the experience you listed is considered as IB-related deal experience so I probably wouldn’t include a transaction summary unless you’ve had quite a bit of relevant IB experience. 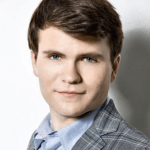 I just started as an IBD analyst a month ago and dont have much experience. An analyst who left to go into growth PE put me in contact with recruiters and I need to forward them a CV but I have no deal experience yet. I was thinking of simply sending them an up to date CV to show my background, and then say Id forward them a resume with more deal experience in the coming months . Does that sound redundant or would it just be better to wait and tell them I will forward them a more complete CV in the coming months? Even though I wasnt officially staffed on a deal, I had extensively helped out on it as there was a staffing crunch. Can I list the deal on my resume? Or would it be unethical. I ofcourse would clarify this in an interview. Do you think it is a good idea to mention that as the result of my work (as part of the team) on a particular transaction we received 6 LOIs from potential investors? Or you suggest not to go to that detailed description of my work? Yes this is fine. This level of details is great. In your article, you mentioned that we should frame our deal with specifics and results in mind. However, I am having a difficult time framing my deal since I only worked on an IPO and two debt financing deals. In both cases, I built the standalone operating model but we mainly used to guide research analysts and pitch the company to potential investors. My question is what can I write for results? There was one M&A mandate that I did extensive work on – unfortunately the deal fell through but not before it was publicly announced that our bank was engaged on the mandate. Would it be okay to put the name of the company on my resume? What details should i avoid? Thank you very much for the article. Just a quick question on my situation: I’m a first-year credit risk analyst at a BB hoping to network and maybe move to IBD as an analyst. My current resume has education on top and work exp below it, should I swap them too based on this article? I cover and underwrite many corporate lending and debt financing transactions so I do have some deal experience to talk about (although it is different from the deal experience of an IBD analyst as on the corporate banking side here we’re typically not in the deal process for as long) that I can expand, but at this point I’m not really looking to break into PE, would really rather try and move to IBD / capital markets teams first. Does the IBD analyst / associate template apply? I do live in Australia. What’s the implication here? That Aussies have more deals to work on or like larger resumes? I’m trying to write the experience section of my resume. 1) I participated in a BB IB training program summer of my freshman yr because of my family connections. It’s a 5 weeks program where we basically sat there and listened to the presentations given by ppl in the firm. In the end they gave us a case comp where we need to come up with a roadshow presentation and presented to the senior bankers. As you can tell, I rly didn’t learn a lot except having a general idea of what IB looks like and also my group won the final competition out of 5 competing teams. My question is– how should I describe this program on my resume? I wish I could say I have done this and that in this program but the truth I didn’t but I still feel this program is relevant since it’s BB-related. How can you make up for the lack of deals in your resume? I worked for a small valuation consulting company. I probably performed over 50 valuations, but most of them were for financial reporting(post acquisition), and for the ones done pre-acquisition (management consideration), we were never involved in the deal it self. I’d focus on the summary of what you’ve done, and impact from your work. Thanks for sharing very important article.From many days am searching for this information in many sites.This is the best site where i found the required information. Glad to know you found our website useful to you! All the resume templates in this site seems to be tailored for “Deals” type of work (i.e. IB, PE). Could you please help us, the experienced “Public Markets” professionals in HF, AM, ER, etc. 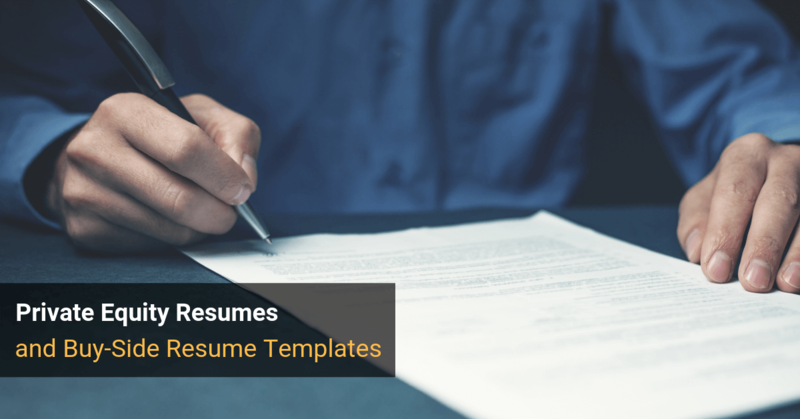 with your awesome resume template guide? Thanks, but I have already seen that and found it irrelevant. Investment Management is quite different from S&T, and the S&T resume template already posted is for fresh college graduates, not for experienced hires. I would really appreciate it if you could consider a new article on experienced hires in public markets background (HF, AM, ER). A lot of people including myself are looking forward to it! Thank you! I wasn’t aware that you’re looking for templates for experienced hires. Its best if you can highlight your impact & trading experience, and highlight relevant trading/investment experience based on the role(s) you’re aiming for. We’ll keep your suggestion in mind. Thanks for your input! – Company wants to acquire competitors in the industry,they are looking to acquire multiple companies. Looked at 3 targets and 2 were acquired. I am in my junior year summer from a Canadian “target” school. I am working at a regional boutique outside Toronto that does deals between 5-150MM for private companies. We do buy/sell side M&A and raise private capital for clients (no public debt or IPO type deals). In addition, since it is very small I am getting some experience that a typical summer analyst might not get – leading projects, meeting clients, creating entire reports/valuations. We are very busy this summer so I will be working on quite a few “live” deals. My goal for full time recruitment would be to land a BB offer or, if possible, go the way of a large pension fund (a typical end for IB analysts in Canada). 1) How much information can I disclose about these private company transactions on my resume/in interviews? 2) How can I describe my experiences without sounding like I am lying? I am currently a lead on some projects and have met with clients and other professionals basically working on all aspects of the deal. 3) We have a “special project” which will be starting the firms forex/precious metals desk. There is currently nothing in place (they do have appropriate licences) and we have been tasked with writing and executing a business plan to start it this summer. I am unsure how to describe this in my resume, or if I should even put it on (make room for more deals). P.S. Great site, I have been reading it for quite some time and have definitely learnt a lot that has helped me so far. 1. Always disclose information that is not confidential. If in doubt, I’d ask your team/leave it out all together. 3. I think you can describe it by stating what you’ll be doing in the project. If you have better experience to list, I’d leave this experience out and wait till you have more info before you list it on. Thank you for visiting our site and for your insight questions! We are glad that we could be of service to you. I graduated last June from an ivy league school with a Masters degree in Applied Math, currently working in a backoffice job on the buy side. I’m looking to move into front-office hedge fund roles. I am currently doing a six-month post-grad internship (FO) at a top-tier real estate owner/operator. I graduated early (from a non-target) in December in order to replace my last semester with this position (and started in January). My resume is currently ordered as education/work/leadership and I was thinking of ordering it as work/education/leadership since my work exp is more impressive than my school. Good idea? Or do you think it’s too early since I should still technically be in school? If your work experience “looks better” than your education, yes I would list that above your education. While you may still be in school and we normally recommend most students to list their education at the top of their resumes, I believe it would make your resume more impressive if you put a reputable firm name above a school that is not as well known. It varies according to the individual. I had a question with regard to PE experience. What if you did a lot for a potential investment – modeling and due diligence – but it didn’t close? More specifically, what if you raised concerns based on your diligence that caused the firm to no bid at the last minute? It was still a really good experience, so I would like to talk about it. Is it appropriate to include on my resume? Yes, definitely still include it. And explain how your recommendation saved them from a large, bad investment. Im a first year analyst in an Equity Capital Markets (origination) group, and I am wondering about how I should write about “deal experience” because the work I do on equity pitches and transactions is different from what the analysts in coverage do (it’s not valuation focused). I’m not trying to go buyside, just lateral banks and work in a coverage group. Done about 10-15 pitches, 7 were more extensive. Only closed deal I worked on was an M&A deal where I did work on potential shareholder action (was a big name deal though). Have been mandated on three other IPOs, but who knows when they are going to price. Not sure what I should focus on. I would focus on any type of modeling-tasks you did complete, e.g. revenue and expense models for companies if you did that, and/or on the due diligence process and anything you uncovered for companies about to go public or raise equity. Definitely include the M&A deal. I would probably include that 1 M&A deal and then the 2 best IPOs or equity offerings where you did the most work / made the greatest impact.